FATE CONTROL feat. Bjorn "Speed" Strid - Official Lyric Video online! "You Shall Fall" featuring Bjorn "Speed" Strid (Soilwork) is now online! In addition to this, there is a brand new lyric video available in two versions. 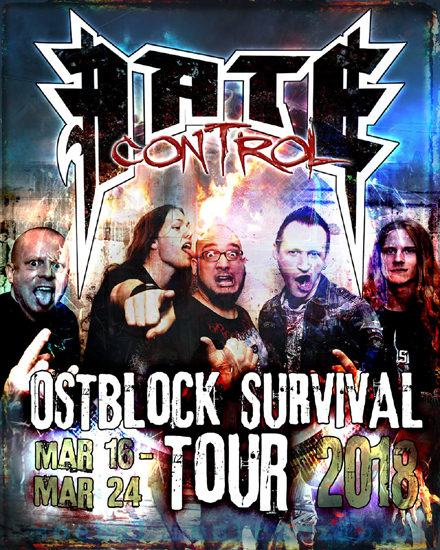 In mid-February this year after the "Random Survival" album release Fate Control got in touch with Bjorn "Speed" Strid of Soilwork shortly before their tour. Fate Control managed to rope in Bjorn as a guest singer for their song "You Shall Fall". "It's really incredible! Bjorn is an absolute superstar and the epitome of Swedish Melodeath! Precisely because Soilwork presents one of our greatest inspirations, it is a great honor to hear Bjorn's voice in our song of course. We are extremely proud of it – it’s simply awesome!" 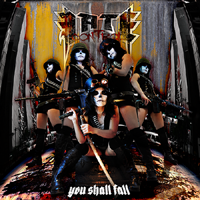 The "You Shall Fall" video is available in two versions on Youtube: the "Code Red" version with Bjorn "Speed" Strid and the original version as "Code Green". 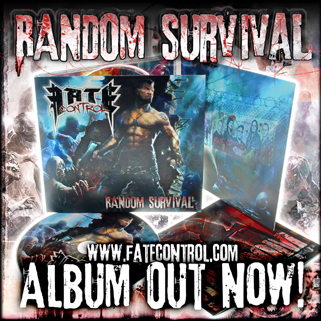 Debut-Album "Random Survival" Out Now! Darwin is so yesterday – today randomness rules! Only a debut album can contain as much personal energy, as shown in Fate Control’s brand-new hit "Random Survival". Fate Control’s sound is marked by clear structures, catchy tunes, richness of detail and hard rhythms. Influences from the "Gothenburg School" blend with the sounds of modern US metal bands such as Slipknot and Five Finger Death Punch. The Swiss band took nearly two years to develop "Random Survival" and find their own personal sound. "It was hard work, but it was worth it," says the band, "we’re extremely satisfied with the result. It’s our baby and we love it – it sounds exactly the way it should. It rocks!" All recordings were made in the band’s own studio in Switzerland. For mixing and mastering, Fate Control were lucky to have the services of Swedish metal greats Daniel Bergstrand and Rickard Sporrong, whose CVs include bands such as Soilwork, Meshuggah and In Flames. 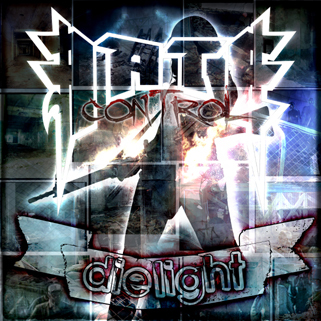 In the words of themetalreview.com: "[...] Fate Control have converted me with their high impact, creative music. 4.5/5 stars." "Random Survival" was recently made available online, as well as the CD version going on sale in shops. The album is also available via Fate Control Webshop. It's the time! 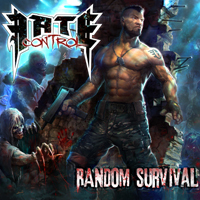 On Valentine's Day (02/14/2014) "Random Survival" - the debut album of Fate Control – will be published. About two years of creativity, passion, commitment, and net least endless hours of studio work were needed to bring this baby into the world. Mixing and mastering were handled by no one less than Daniel Bergstrand and Rickard Sporrong - well known for their work with bands like Soilwork, Meshuggah and In Flames. The unique cover artwork was created by Russian designer Ivan Kashubo. "We are all extremely proud of the result and look forward to share our sound with you!" The album is available from 14-2-2014 in the shops - get your dose of Metal! Double Barrel Machine Gun – Impact restored! With Rolf Spack, Fate Control is not only complete again, but has also gained in impact. Rolf is a metal head to the core and, reunited with Marc, is once again shooting from his guitar with both barrels! Hellyeah! Welcome to the Family – Rolf! Strike two - the new single is online!! 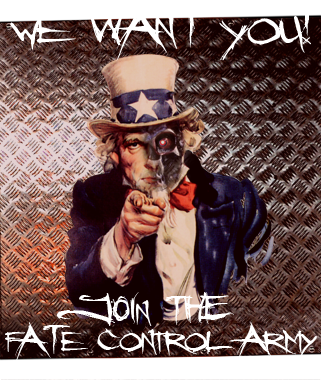 Dictators of the world, look out – Fate Control has a message for you: "You shall fall!" This is the title of our brand new single that brings the revolution right to your loudspeakers and headphones! And there's also an impressive B side with "Nothing". No compromises – no negotiations – no turning back! "Horns up, it's time for metal!" “We made you a promise - there is an album on the way“. Good things are worth the wait - Fate Control can see the light at the end of the tunnel and is looking forward to releasing its album soon. We have completed the recording of the forthcoming album - mixing and mastering are moving ahead at full speed. And what exactly ‘Auf’s Maul’ is all about and if there is a connection between tongue length and intelligence, you’ll find out all about it in the video. Konnichiwa Japan - welcome to Fate Control! In response, Fate Control has now decided to offer the band website in Japanese as well as the German and English they already have. “It’s important to us that everybody in the world can get information about us and our music as easily as possible. Metal is our music and our shared language. Metal is the international language!" Get your free copy of the latest single “Knockout” - Join the Revolution! Fate Control has started working on its first album. The first two songs already released as a demo have since further produced by Swedish sound smiths “Dugout Productions”. Daniel "Danne" Bergstrand and Rickard "Rrong" Sporrong are behind Fate Control’s mixing and mastering. Daniel and Rickard are known throughout the international world of heavy metal for their fantastic work with bands like In Flames, Soilwork and Meshuggah. Fate Control thinks it’s absolutely insane to get the chance to work with such pros - it’s like Christmas and a birthday all rolled into one!!! You can already download the brandnew versions “Knockout” and “Dance of Bullets” here for free! Other recordings are coming, with the definitive album release set for early 2013. We will keep delighting you with delicious tonal metal delicacies from the Fate Control sound smiths! Stay on the ball, guys – it’ll be worth it! 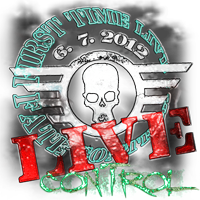 On 7/6/2012 at 8:15 pm, Fate Control got to unpack the machine guns on stage for the first time and let them rip! Right before Fiddler's Green and Subway to Sally! We thank all the metal fans who braved the rain and mud to make their way to the stage on OpenQuer Zell to rock with us! Our first, but also our best audience ever! Hey, guys, you were A W E S O M E ! In just three weeks and we’ll be there: Fate Control is finally going to give you one around the ears with a hefty serving of metal: On Friday, 07/06/2012, we’re playing at OpenQuer Zell starting at 8:15 pm. 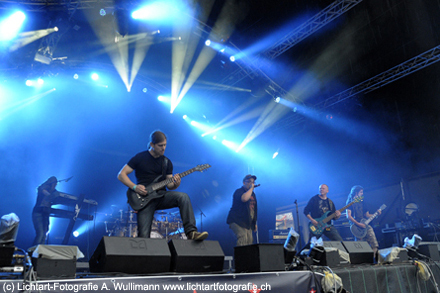 OpenQuer Zell is the oldest open air festival in Lucerne canton – it’s already been going at it for 20 years! You can get your tickets from starticket.ch for CHF 44.— including Fiddler's Green and Subway To Sally live afterwards. Isn’t that cool? It's time to bang your heads - the demos are now available! Fate Control has the ideal fix for your winter blues. Two brand new demo tracks will set your frozen ears on fire! As a look ahead to the coming metal season, Fate Control offers you its first two demos: the mid-tempo beater "KnockOut" lets you know that Fate Control has its fists up and is ready to dish it out! "Dance of Bullets" has angry guitars and a couple of mean synthesizers. Long story short - just take a listen right now and get the party started! You can find us on myspace, facebook and mx3. Oh yeah, we'd love to hear your feedback! Of course, we'll stay on the ball and keep on putting the pedal to the metal. Metal - everything else is just a side show! Ready - Steady - GO! We're complete. Marc Frigg closed the last remaining gap and Fate Control is ready for its first gigs of 2012. Marc is not only a passionate headbanger and talented guitarist - he knows how the sounds need to thrash before, behind, and next to the stage! C'est le ton qui fait la musique. It's the sound that makes the music - true not only onstage, but for Fate Control in general. It's great to have you on the team, Marc, thx! Before going on stage, we still need to spend a final few hours in the studio. After being absent the past year for health reasons, our friend, brother, and valued keyboarder Mario Bürki can no longer play with Fate Control. We respect his decision and wish him all the best for the future. Mario will continue to support Fate Control with his amazing expertise and all of his music equipment! He'll also be there after rehearsals to toast one with the boys. Thanks for all the years, man! Manuel Wunderlich is now our permanent keyboard player. Just shy of a year ago, he subbed for Mario on the keyboards and has become a steady part of the team. His talent and skills are without a question! We also like his odd sense of humor... ;-) We're breaking out the champagne to welcome Mänu officially as a permanent member of Fate Control! Currently, we're doing the last fine tuning of the demos and more songs are in the pipeline. See you soon! Uncle Sam has struck! 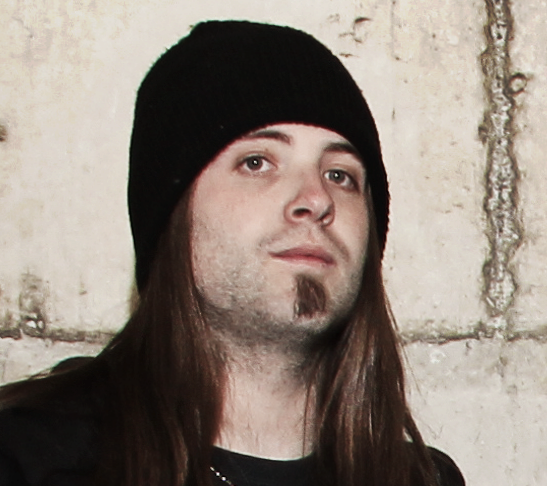 New to the team is Matteo "Matt" Cellini on mike! Matt lives in Switzerland and has Italian roots. He knows all the right techniques for Fate Control's songs, is a great songwriter, extremely motivated, and even better, a cool team player.